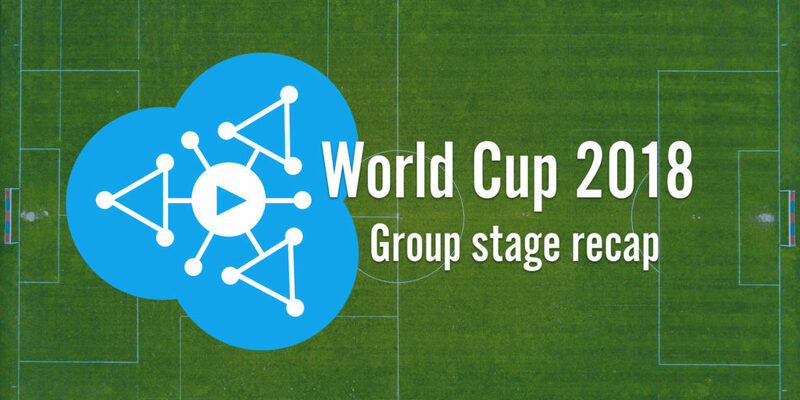 Here at Streamroot, we’re proud to be delivering World Cup 2018 in the world’s major football hubs, with prominent national and international broadcasters in Europe and Latin America including TF1. With an expected audience of 3.4 billion across the globe, World Cup 2018 is the biggest live sports event of the year. During the group stage, its online streaming figures already exceeded those of the Super Bowl by 40%, and this is only the beginning. We are thrilled to have the opportunity to help broadcasters handle these colossal traffic spikes, while ensuring a smooth, impeccable streaming experience to football fans worldwide. 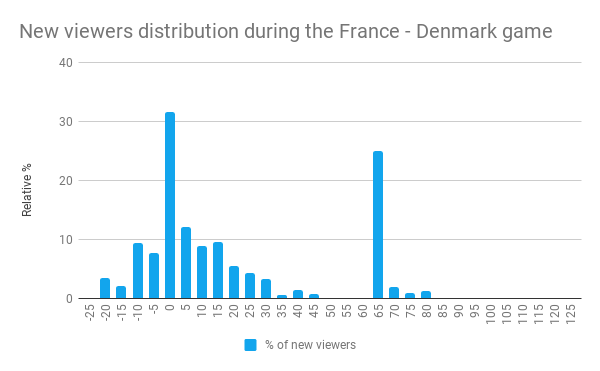 More than two weeks into the World Cup, 12 million viewers watched 48 games via Streamroot. With 547K concurrent viewers per stream, at 72% peer-to-peer traffic, we offloaded over 945 Gbps from the global internet backbone, relieving CDN congestion and providing a smoother streaming experience to football fans across the world. Right before the knockout stage kicks off, we’re excited to share some stats we collected during this dramatic group stage, this time from our backend operations. The robustness of our backend is critical to Streamroot DNA™. For each of our customer’s viewers, the Streamroot backend identifies and receives information from devices, ensures that our sequential algorithms are constantly promoting the most efficient connections possible, and handles the signalling necessary to establish webRTC connections between peers. You might have read about the hard work we put into to building a highly scalable backend on our tech blog and on the Google Cloud blog. All this has truly paid off during the World Cup: our backend effortlessly autoscaled to 500% in less than 7 minutes, handling 47,700 HTTP requests per second at peak. Does this, however, mean that these were the BEST group stage games? Not according to our data. 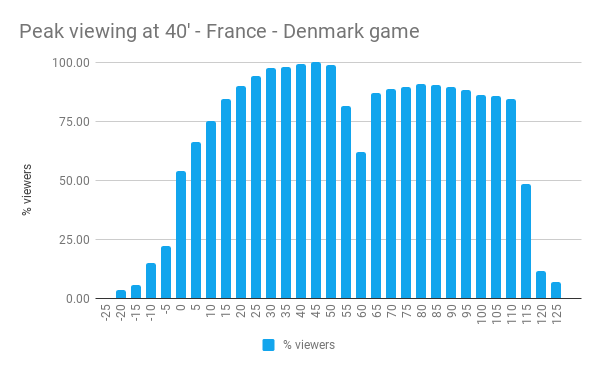 Below are the viewing patterns of two games. 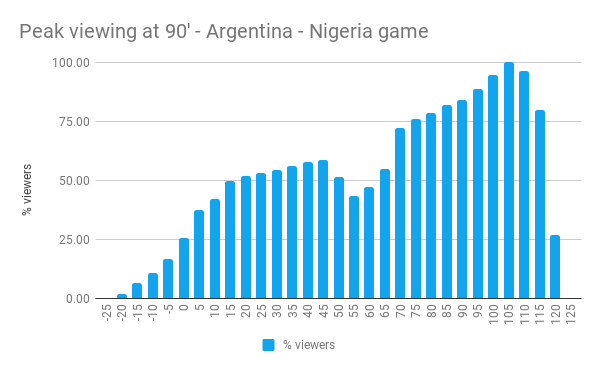 The first, France vs. Denmark, was the most popular game viewed via Streamroot; the second Argentina vs. Nigeria, didn’t make it to our top 3 most viewed games. Without looking at the titles, can you guess which one’s which? 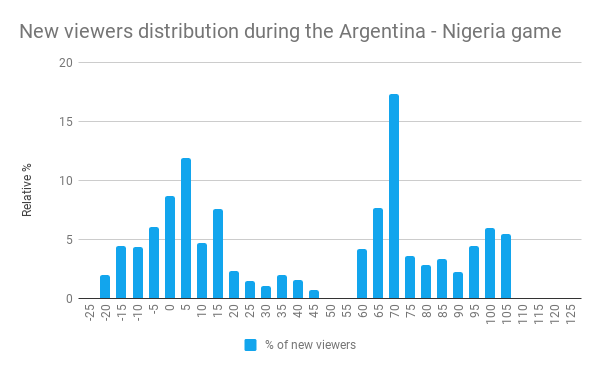 While viewership in the France vs. Denmark game peaked during the first half, and saw a decline during the second half, the Argentina vs. Nigeria game was apparently more exciting and attracted more and more viewers as the game advanced, until its peak around Marcos Rojo’s unforgettable goal at the 86th minute. As mid-July final rounds approach, we can’t wait to reach new heights during knockout stage, and to make sure that football fans everywhere continue to enjoy the games with a smooth live sports streaming experience. If you too would like to increase your delivery capacity and improve your viewers’ experience at the same time, contact us for a free trial.